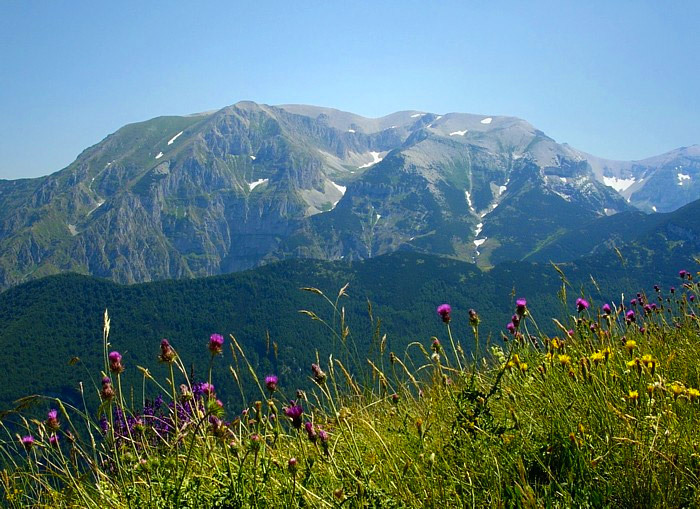 Maiella (or Majella) National Park (Chieti, L'Aquila, Abruzzo) is a mountain nature reserve centered around the Maiella calcareous massif. 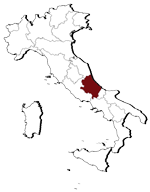 Maiella (or Majella) National Park (Chieti, L’Aquila, Abruzzo) is a mountain nature reserve centered around the Maiella calcareous massif. Highest peak is Monte Amaro (2,793 m). The park is one of the three National Parks of Abruzzo, in the area between L’Aquila, Pescara and Chieti. Its slopes are cut by long and rugged valleys. Around 37% of the Italian vegetation species are rapresented. The area is also populated by a strong wildlife: Wild boars, hares, chamois, deer, weasels, martens, wild cats, Eurasian lynxs, porcupines, black bears, otters, Apennine wolves, martens, dormouses, skunks, hedgehogs, greater horseshoe bats, badgers, moles, mouse-eared Geoffroy, foxes, etc .